At Express Proofreading we specialise in copywriting for businesses of all sizes. Our comprehensive website copywriting service package is designed to provide businesses with all of the content needed for a new website project. This includes us working with the firm to research their target market and industry to provide a truly bespoke and high quality service. A recent example of our copywriting package in practice is Newlook Windows. Newlook Windows is a manufacturer of uPVC windows and doors. They needed bespoke, engaging, high quality website content for their new site. As a local business based in Manchester, it is essential for them to appeal and attract local customers for this reason we worked closely with them to also ensure that all content was fully search engine friendly. The process involved conducting a detailed audit of their target market and their brief to create 25 pages of original content for their website. With each page of content being between 400 – 500 words, all content produced was fully search engine optimised for their 7 chosen keywords. The types of content varied depending on the context of the given page but included; articles, guides, landing page copy, and other forms of content. When we were instructed by Newlook Windows for the copywriting of their new site the service involved. A thorough detailed audit of their new website project. Creating a long term content strategy to help them reach their overall target. Creating various forms of quality content, whether in the form of articles, guides, landing page copy or other forms of content. We often work with businesses from a variety of different backgrounds and different industries. As content specialist, we research the industry thoroughly to provide the maximum expertise in that area and to ultimately produce web content that is effective and informative to the reader. 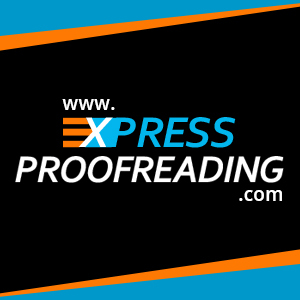 Express Proofreading is a leading copywriting and proofreading service. We provide professional in-house proofreading and editing services to academics and to businesses. We also provide full service copywriting and application review services. Our aim is to provide high quality, professional, reliable content services for all clients. We pride ourselves on our dynamism and creativity, we will work with you to ensure that you receive the highest quality SEO friendly copy for your website. If you would like to enquire about us working with you to help you produce compelling content for your site contact us today. To discuss your requirements please give us a call. Alternatively you can email us at info@expressproofreading.com.